What kinds of features do urban dwellers really want for housing? Space? Privacy? Nature? Parking? Views? Restaurants? Danish Architect Bjarke Ingels tackles that question with every housing project. And with each project’s locale, come different needs and opportunities. 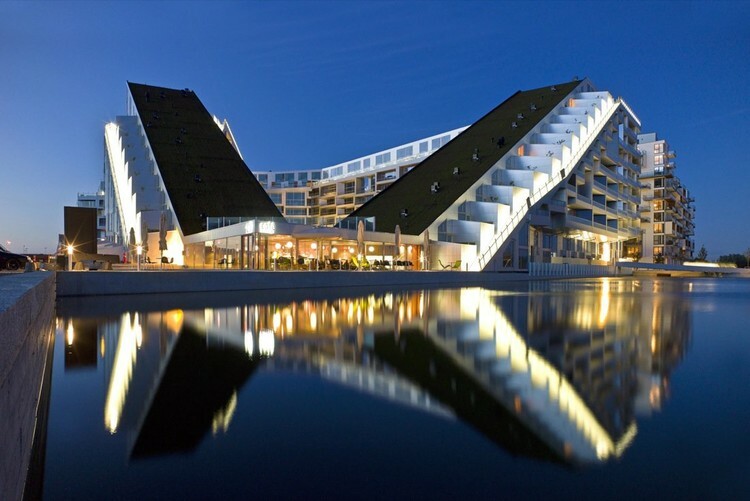 Take, for example, 8 House in Copenhagen designed by his firm, Bjarke Ingels Group (BIG). 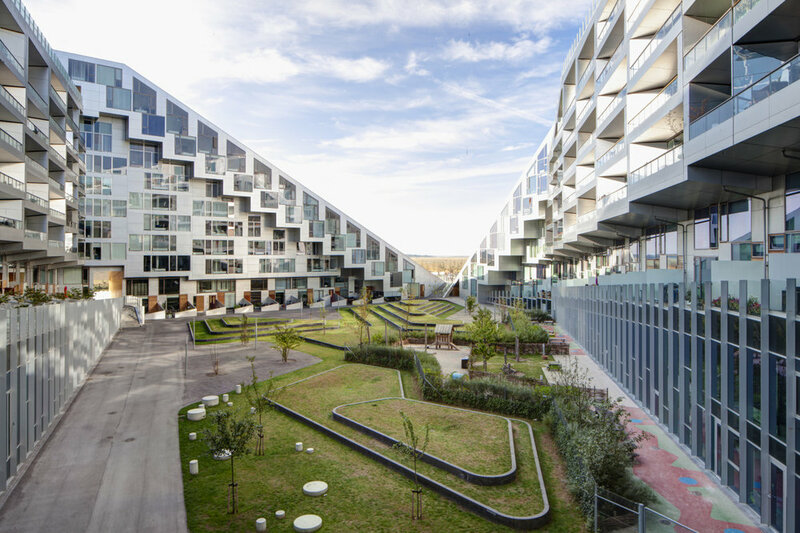 8 House is a multi-use building on the outer edge of Copenhagen that got its name because it’s designed in the shape of a figure 8. 8 House includes 476 units of residential housing and office and retail space. The complex overlooks protected open space and has views of the Copenhagen Canal. Sounds like a typical multi-use complex, right? However, BIG broke the mold with 8 House, creating another provocative design. And they did it because they focused first on resident needs and then leveraged opportunities available at the site. And they did it in a BIG way. Ingels didn’t want to design a box. He didn’t want to copy every other architectural firm. The stakes were high. This was the largest private development project in the history of Denmark. He wanted to do it right. He needed to do it right. That meant he needed to understand what urban dwellers in Copenhagen — that his client wanted to attract — were trying to do with their housing. “With few exceptions, every job people need or want to do has a social, a functional, and an emotional dimension. So there are functional jobs, emotional jobs, and social jobs to be done for customers. Ingels and his partner, Thomas Christoffersen, instinctively understood this and led their team to design 8 House appropriately. They are obsessed to make everyone happy. The result is something extraordinary. 8 House is situated on the outer edge of the city in a fairly new development. The older parts of the city have charm. Parts of Copenhagen — such as Frederiksberg — have the feeling of community. Even within a big city. They wanted to design in elements that would grab the attention of the target audience in the same manner. That was the challenge from the developer. But BIG couldn’t break the bank doing so. BIG thought about the target audience. Most of the employees in their firm could have been the target audience. This became the list of design requirements to work with. BIG rejected the idea of a rectangular block building. Not only was that style not creative, but it would not achieve the design requirements. They did not like that most apartments were single level. They rejected the notion of a long straight hallway lined with doors. They refused to accept that apartments could not have character. They rejected the idea that only a small few could enjoy the view. Sometimes it’s easier to start creating by deciding what the design is not. Their design would bring people together. Their design would create various “meeting” spaces in which people could connect. Their design would be an extension of the protected open space. Their design would maximize sunlight in a country where the sun sets at 3:30 p.m. in the winter. Their design would promote healthy living for adults and children. The figure 8 design created the optimal format to maximize views of the open space, while providing multiple meeting points for residents. Each unit is full depth, meaning light and air accessibility from both sides of the unit. The views were especially enhanced when they dropped the southwest corner of the building to ground level and elevated the northeast corner. That element would add distinction and character to the building overall, but would also allow sunlight and air into the courtyard and views to the open space and canal. Rooftop gardens on the slopes extend and connect the feeling of the open space. A bike and walking trail goes up the entire building like a mountain path and descends to the water. Each unit includes balconies, positioned to maximize their views. Residents can choose from three designs — some multi-level and all with dropped or raised living spaces. The designs create a feeling of individuality and character. Each unit has a garden area by the front door. Rather than traditional levels, the building spirals upward, creating a continuous walkway/bike path that allows for more community interaction. Pathways connect all units to promote both physical activity and social interaction. The courtyards include play areas, eating areas, and grassy areas to encourage people to come together. The grassy areas include levels and trees to create dimension and visual interest. Residents have access to common rooms and now use those for potluck community dinners. 10,000 square meters of retail and business space at ground level merge with life on the street. Residents can shop and possibly work close to home. So how was the design received? In their early years, BIG encountered resistance to their revolutionary designs from the Danish architectural and developer communities. But the results spoke for themselves. Consumers loved the originality. They felt that they were buying something affordable, yet special. 8 House proved no different. Residents feel like they live in a village. The units sold quickly. Now five years since the opening, the property values have increased. Smaller units start at $375,000 and go up to $550,000. What Do You Do With This Case Study? When you start to understand the jobs to be done for your customers, you can design products, services, spaces and experiences that are meaningful. That will keep them returning for more. This is the type of work that I do as a Marketing and Insights Consultant with my team. We conduct deep research to identify the key jobs to be done for the target audience and then we innovate around those jobs. No matter the target audience, no matter the industry. Whether you’re building a business or selling a product. Whether you’re decorating a room or designing a car. Whether you’re writing a book or composing a song.